RR released Unadkat but again stole him at 8.4cr. In the previous price of Jaydev Unadkat which was 11.5 cr, they bought Unadkat aa well as Varun Aaron with that money. They did good job at the auction but I think they forgot to buy backups of Buttler, Smith and Stokes who will leave after May 1. Their openers are very solid. Buttler is a player who strikes with strike rate of around 160 while Rahane makes sure he is rotating strike and stays in the crease as long as possible. They will provide a tremendoua foundation for the player to come. Their middle order also looks fabulous. Steve smith will anchor inninga while Samson and Stokes will clock the scoreboard with the firepower. Their middle order will look like a competitive challenge for the opposition bowlers. Their finishers doesn’t look so strong buy they aren’t bad too. If Gowtham is in top form then he can strike the ball out of the park easily while I have doubts with Tripathi. Their bowling looks decent with speedster Jofra archer. Archer produces a raw pace during 1st 10 overs and he delivers cracking yorkers in the death. He is a quality bowler. Alongside him, Unadkat is the man who was hero of 2017 but zero of 2018. If he brings back his form then he will be a crucial player to provide breakthroughs. Varun Aaron is also in top form and with his presence, their pacr attack looks strong. In spinners, Shreyas Gopal and K.Gowtham did pretty good job last year. So RR franchise will be expecting the same from these two. Their playing XI is well balanced with a experienced captain Steve Smith. This lineup is mixed with local as well as foreign talents. They will be giving serious competition to other teams if Stokes, Buttler and Samson are in good touch with bat. 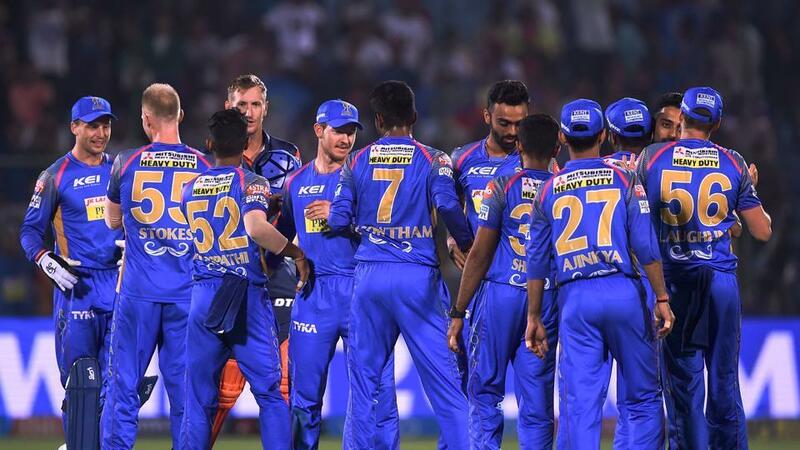 Their main weakness is that the above mentioned four overseas players are confirmed to play in initial matches but what will they do when Buttler, Stokes and Steve Smith leave the IPl midway. It will be a very serious challenge to the franchise. They lack good backup foreigners so it will be interesting to see how the team performs after the departure of their key players. What’s your prediction? Comment below.